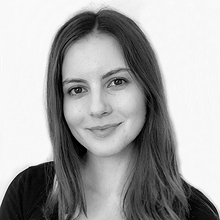 Amanda prides herself on being part of the strong and reputable Business Support team at Slade Group. After two years of working for a boutique recruitment firm in the UK, Amanda returned home to Australia with a drive to further develop her career within the recruitment industry. She has since provided several businesses across Melbourne and Sydney with quality staff to fill their vital Business Support roles. Amanda has also worked in Social Services and Financial Services, where she gained valuable industry knowledge and an understanding for how Business Support roles are imperative to the smooth running of an organisation. Amanda values attention to detail and being an exceptional listener, in order to gain a comprehensive understanding of what her clients and candidates require.